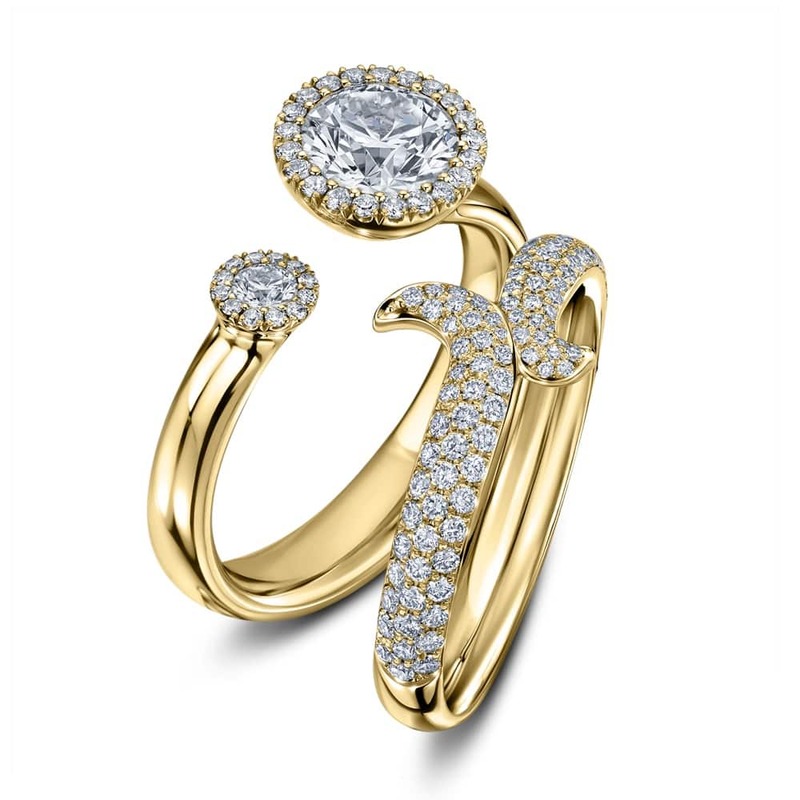 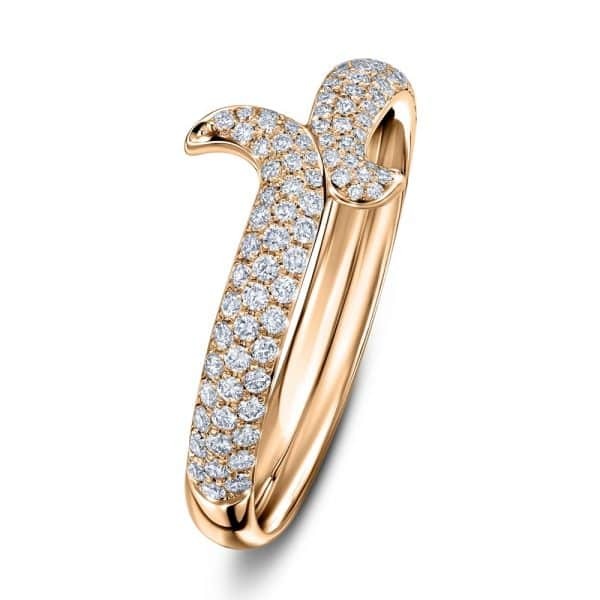 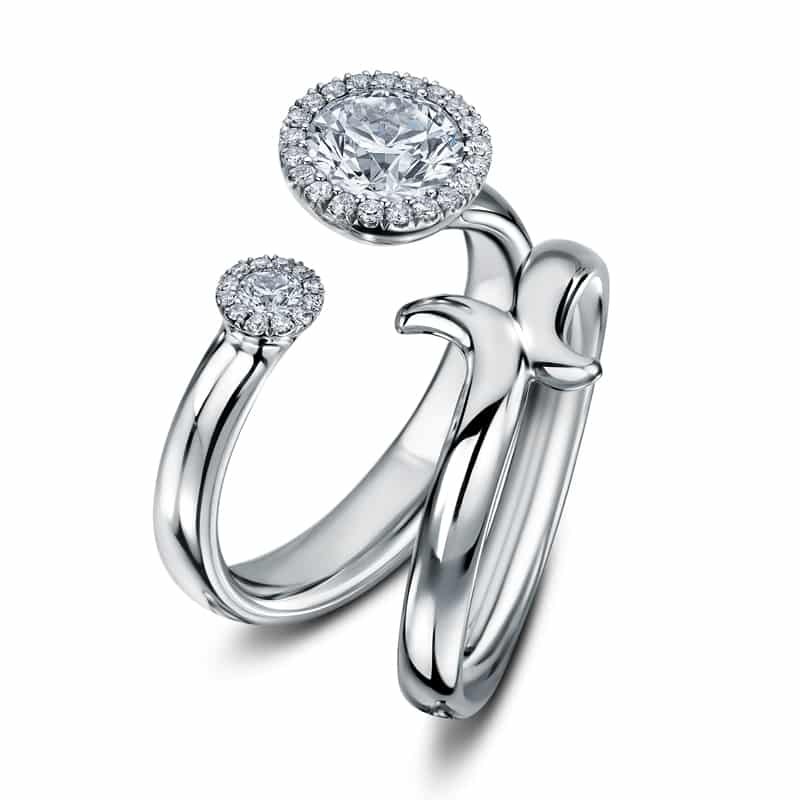 This ‘hooked’ wedding ring catches her majestic partner ring, the Satellite Diamond. An inspired, sculptural form, of fluid, strokeable lines, Satellite is a signature design that makes for this unusual, distinctive diamond set wedding ring. The varied stone sizes of the main ring, together with their positions and asymmetry create an extraordinary piece of jewellery and the intensity of those diamonds on both rings make them one you’ll treasure forever. A unique and beguiling wedding band half-set with almost 0.50ct G VS diamonds .